Vidal Espinosa, MBA is the Founder and Principal at Invictus Advisors, a bilingual consulting and accounting firm whose mission is to be a strategic partner for business owners to make better financial decisions. Managing a portfolio of over 100 clients, with total assets over $10,000,000 he has lead the organization to open multiple offices throughout the United States and Mexico, increased their annual budget from $25,000 per year to over half a million dollars per year and tripled their office space. As a self-made author, entrepreneur and business owner he understands what it takes to start and run a business effectively. ¿Tienes Lo Que Se Necesita Para Ser Un Emprendedor? 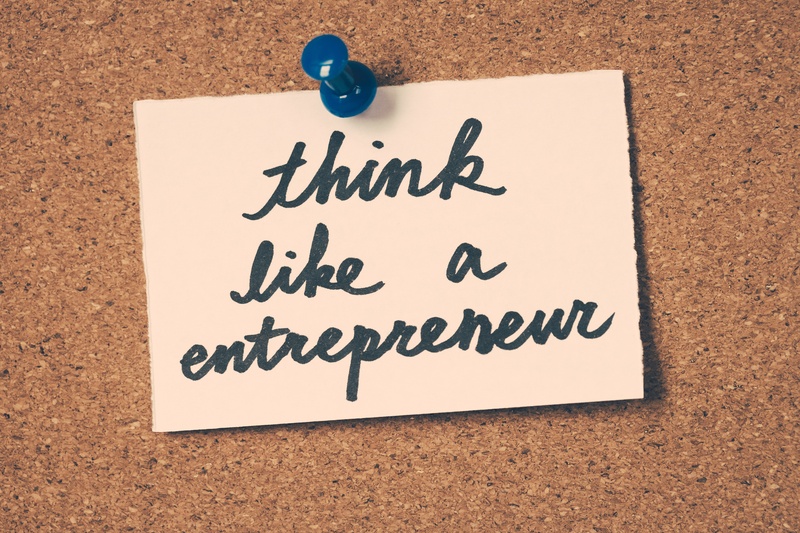 Puede parecer que cualquier persona que tenga una buena idea puede tener un negocio exitoso, pero también se debe tener ciertas cualidades para tener éxito como emprendedor. El hecho es que el emprendimiento no es para todos, pero ¿cómo sabes si es para ti o no? Hemos reunido una serie de preguntas que debes preguntarte para averiguar si el emprendimiento es el mejor camino a seguir. ¿TIENES CONFIANZA EN TI MISMO Y TUS IDEAS? Uno de los rasgos más importantes que puede tener como emprendedor es la confianza. Si confías en ti mismo y en tus ideas de negocio, será mucho más fácil promocionar tu producto o servicio a otros. El espíritu emprendedor es difícil y escucharás “no” una y otra vez. Debes tener la confianza en tí mismo de tus ideas para seguir adelante. ¿TIENES PASIÓN? Nadie dijo que el espíritu empresarial fuera fácil, pero será mucho más fácil cuando realmente ames lo que haces. La pasión y el deseo de tener éxito es lo que hace posible que los empresarios logren casi cualquier cosa que se propongan. ¿ESTÁS DISPUESTO A TOMAR RIESGOS? Los empresarios toman riesgos y no temen fracasar. Incluso si toman las mejores decisiones posibles para su negocio, las cosas no siempre van a funcionar según lo planeado. Por eso es importante dar la bienvenida a lo desconocido y dar lo mejor de ti. ¿TE GUSTA ESTABLECER TU PROPIO HORARIO? Muchas personas estarían de acuerdo en que uno de los aspectos más destacados del emprendimiento es tener la capacidad de establecer tu propio horario. ¿A quién no le gusta la idea de trabajar cuando lo desee? Solo ten en cuenta que, si bien no es necesario llegar a la oficina a las 9 AM, sí debes estar dispuesto a trabajar durante horas inusuales, como las noches y los fines de semana. ¿NECESITAS MOTIVACIÓN? Como emprendedor, ya no tienes que informarle a un jefe. Pero debes informarte a ti mismo y a los clientes, si deseas que tu negocio tenga éxito. Esta es la razón por la cual la capacidad de mantenerse motivado, incluso cuando las cosas se ponen difíciles, es imprescindible si quieres ser emprendedor. ¿ESTÁS LISTO PARA COMPROMETERSE? Poseer un negocio es un compromiso 24/7, y va a requerir sacrificios de tu parte. Si deseas que tu negocio realmente despegue, debes estar listo para darlo todo desde el principio. ¿ESTÁS DISPUESTO A CONTINUAR APRENDIENDO? Es fácil pensar que ya sabes todo lo que hay que saber sobre tu negocio, después de todo, lo comenzaste, pero eso no significa que debas dejar de aprender. Conocer todos los pormenores de tu negocio, como marketing y contabilidad, incluso si has contratado a alguien para que se ocupe de ellos. Aprender todo lo que puedas sobre tu negocio te permitirá tomar decisiones más informadas. ¿QUIERES TOMAR LAS RIENDAS DE TU FUTURO? Nunca va a haber un momento perfecto para ingresar al mundo de la iniciativa empresarial. Si realmente quieres ser un emprendedor y hacerte cargo de tu futuro, ¡deja de pensar en ello y simplemente hazlo! ¿Respondiste “sí” a la mayoría o a todas estas preguntas? Si lo hiciste, ¡felicitaciones! Tienes lo que se necesita para ser un emprendedor. ¡Es hora de poner sus ideas en acción! Si respondiste “no”, ¡no te preocupes! Nunca es demasiado tarde para adoptar y aprender las cualidades de un emprendedor exitoso. Choosing an accountant is like choosing a new business partner. But, first of all, what is an accountant? An Accountant is someone who solves a problem you didn’t know you had in a way you don’t understand. Is it fair? Probably not, however, there is always some truth on a joke. What is not a joke is making a slight decision when it comes to hiring an accountant. Choosing the right accountant is one of the most important decisions a small business can make. A good one can save you time, provide advice, and help your business grow; a bad one could cost you much needed money. Finding the right accountant could be overwhelming, so here are so tips to help you choose the right accountant for your business. This decision deserves all your time and attention. Do they have expertise in your industry? What license and degree(s) do they have? The best way to know if they are a good fit for you and your business is to interview them. You need to be comfortable with whomever you choose as you will be dealing with sensitive personal financial information. Make sure the accountant is available to answer questions with clear explanations. As with anything else in life, don’t automatically accept the first offer you receive. Arrange things in such a way that you can compare a selection of accountants with each other. Then it will be easier to determine which one is best for your business. Finally, check references, the ideal candidate might be right under your nose. Start by asking any friends or family members who own small businesses if they would recommend their accountant. If so, why? And if not, why not? The answers to both questions could prove useful at a later stage when you come to interview candidates. Your decision on what qualifications to seek in an accountant must also take into consideration what services your business needs from an accountant. Maybe you only seek a firm to prepare your tax return and compile end-of-year financial statements. But if you also want tax and financial planning advice, or retirement planning advice, you may need to seek someone with different qualifications or background. Make a list of requirements that you would want the accountant to handle. Hiring an outside accountant or accounting firm on a consulting basis is a good first step for a growing business. The outside firm can often cost less than the salary and benefits of a full-time employee and, at the same time, you may be getting a higher level of advice from a CPA or a tax accountant, the latter of whom usually is a licensed CPA and a lawyer specializing in tax law. Can your accountant help you save money? Always bear in mind that in most countries there is a big difference between tax avoidance (usually legal) and tax evasion (usually illegal). You need an accountant who knows the details of tax law so well that they’ll save you money in legal ways, but not one who takes things too far and risks causing your business to operate illegally. Be very careful about this, because ultimately it’s you, the business owner, who’ll pay the penalty if the law is broken. If all of this sounds more like a marriage than a business relationship, there’s a good reason for that! Your accountant will become intimately involved with the operation of your company so it’s not a decision to be taken lightly. You will need one you can trust, who has the necessary experience and who will be there when you need them. Ask about fees upfront. Most accounting firms charge by the hour. However, there are some accountants who work on a monthly retainer. Figure out what services you are likely to need and which option will be more cost-effective for you. Get a range of quotes from different accountants. Try to get an estimate of the total annual charges based on the services you have discussed and don’t base your decision solely on cost. Pro TIp: Since you will need an accountant for more than your crushing numbers, payroll and filing taxes, make the most of the accounting relationship by doing your part. Don’t hand your accountant a shoebox full of receipts. The better you maintain your records, the less time your accountant has to spend and the lower your fees will be. Before you form a relationship with a trusted advisor to help guide your business through its growth phase and beyond, take some time to evaluate where you need assistance and then start meeting with some accountants to determine which would be the right fit you and your business. You can seek recommendations from other small business owners, preferably in an industry similar to yours. In fact, the best way to look for an accountant is by word-of-mouth. You don’t necessarily need to go to a big firm, either. Some of the best accountants have their own practices. According to the US Small Business Administration, small businesses employ half of all private sector employees in the United States. However, a majority of small businesses do not offer their workers retirement savings benefits. If you’re like many other small business owners in the United States, you may be considering the various retirement plan options available for your company. Employer-sponsored retirement plans have become a key component for retirement savings. They are also an increasingly important tool for attracting and retaining the high-quality employees you need to compete in today’s competitive environment. Most private sector retirement plans are either defined benefit plans or defined contribution plans. Defined benefit plans are designed to provide the desired retirement benefit for each participant. This type of plan can allow for a rapid accumulation of assets over a short period of time. The required contribution is actuarially determined each year, based on factors such as age, years of employment, the desired retirement benefit, and the value of plan assets. Contributions are generally required each year and can vary widely. A defined contribution plan, on the other hand, does not promise a specific amount of benefit at retirement. In these plans, employees or their employer (or both) contribute to employees’ individual accounts under the plan, sometimes at a set rate (such as 5 percent of salary annually). A 401(k) plan is one type of defined contribution plan. Other types of defined contribution plans include profit-sharing plans, money purchase plans, and employee stock ownership plans. Small businesses may choose to offer a defined benefit plan or any of these defined contribution plans. Many financial institutions and pension practitioners make available both defined benefit and defined contribution “prototype” plans that have been pre-approved by the IRS. When such a plan meets the requirements of the tax code it is said to be qualified and will receive four significant tax benefits. 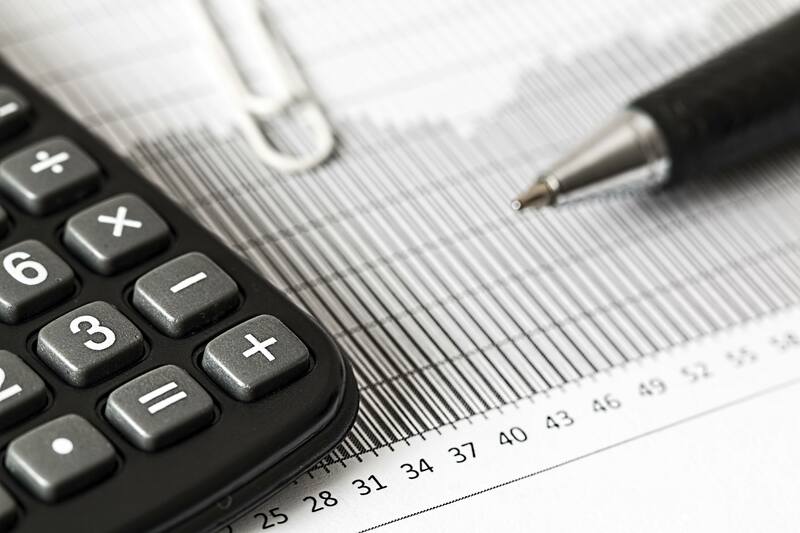 The income generated by the plan assets is not subject to income tax because the income is earned and managed within the framework of a tax-exempt trust. An employer is entitled to a current tax deduction for contributions to the plan. The plan participants (the employees or their beneficiaries) do not have to pay income tax on the amounts contributed on their behalf until the year the funds are distributed to them by the employer. Under the right circumstances, beneficiaries of qualified plan distributors are afforded special tax treatment. It is necessary to note that all retirement plans have important tax, business and other implications for employers and employees. Therefore, you should discuss any retirement savings plan that you consider implementing with your accountant or other financial advisors. Here’s a brief look at some plans that can help you and your employees’ save. A SIMPLE IRA plan allows employees to contribute a percentage of their salary each paycheck and to have their employer match their contribution. Under SIMPLE IRA plans, employees can set aside up to $12,000 in 2014(same as 2013) by payroll deduction. If the employee is 50 or older then they may contribute an additional $2,500. Employers can either match employee contributions dollar for dollar – up to 3 percent of an employee’s wage – or make a fixed contribution of 2 percent of pay for all eligible employees instead of a matching contribution. SIMPLE IRA plans are easy to set up by filling out a short form. Administrative costs are low and much of the paperwork is done by the financial institution that handles the SIMPLE IRA plan accounts. Employers may choose either to permit employees to select the IRA to which their contributions will be sent or to send contributions for all employees to one financial institution. Employees are 100 percent vested in contributions, get to decide how and where the money will be invested, and keep their IRA accounts even when they change jobs. A SEP plan allows employers to set up a type of individual retirement account – known as a SEP-IRA – for themselves and their employees. Employers must contribute a uniform percentage of pay for each employee. Employer contributions are limited to whichever is less: 25 percent of an employee’s annual salary or $52,000 in 2014 ($51,000 in 2013). SEP plans can be started by most employers, including those that are self-employed. SEP plans have low start-up and operating costs and can be established using a single quarter-page form. Businesses are not locked into making contributions every year. You can decide how much to put into a SEP each year – offering you some flexibility when business conditions vary. 401(k) plans have become a widely accepted savings vehicle for small businesses and allow employees to contribute a portion of their own incomes toward their retirement. The employee contributions, not to exceed $17,500 in 2014 (same as 2013), reduce a participant’s pay before income taxes, so those pre-tax dollars are invested. If the employee is 50 or older then they may contribute another $5,500 in 2014 (same as 2013). Employers may offer to match a certain percentage of the employee’s contribution, increasing participation in the plan. While more complex, 401(k)plans offer higher contribution limits than SIMPLE IRA plans and IRAs, allowing employees to accumulate greater savings. Employers also may make profit-sharing contributions to plans that are unrelated to any amounts an employee chooses to contribute. Profit-sharing Plans are well suited for businesses with uncertain or fluctuating profits. In addition to the flexibility in deciding the amounts of the contributions, a Profit-Sharing Plan can include options such as service requirements, vesting schedules and plan loans that are not available under SEP plans. Contributions may range from 0 to 25 percent of eligible employees’ compensation, to a maximum of $52,000 in 2014 ($51,000 in 2013) per employee. The contribution in any one year cannot exceed 25 percent of the total compensation of the employees participating in the plan. Contributions need not be the same percentage for all employees. Key employees may actually get as much as 25 percent, while others may get as little as 3 percent. A plan may combine these profit-sharing contributions with 401(k) contributions (and matching contributions). Take advantage of the tax breaks, to save more money than you’d otherwise be able to? Provide competitive benefits in addition to – or in lieu of – high pay to employees? Primarily save for your own retirement? You might say “all of the above.” Small employers who want to set up retirement plans generally fall into one of two groups. The first group includes those who want to set up a retirement plan primarily because they want to create a tax-advantaged savings vehicle for themselves and thus want to allocate the greatest possible part of the contribution to the owners. The second group includes those who just want a low-cost, simple retirement plan for employees. If there were one plan that was most efficient in doing all these things, there wouldn’t be so many choices. That’s why it’s so important to know what your goal is. Each type of plan has different advantages and disadvantages, and you can’t really pick the best ones unless you know what your real purpose is in offering a plan. Once you have an idea of what your motives are, you’re in a better position to weigh the alternatives and make the right pension choice. If you do decide that you want to offer a retirement plan, you are definitely going to need some professional advice and guidance. Pension rules are complex, and the tax aspects of retirement plans can also be confusing. Make sure you confer with your accountant before deciding which plan is right for you and your employees. Have you ever dreamed of a way to legally deduct every dime you spend on vacations? Good news, It is possible! Let’s take Tom, a small business owner as an example. Tom decided he wanted to take a two-week trip around the US. So he did and was able to legally deduct every dime that he spent on his “vacation.” Here’s how he did it. Make all your business appointments before you leave for your trip. Most people believe that they can go on vacation and simply hand out their business cards in order to make the trip deductible. Wrong! You must have at least one business appointment before you leave in order to establish the “prior set business purpose” required by the IRS. Keeping this in mind, before he left for his trip, Tom set up appointments with business colleagues in the various cities that he planned to visit. Let’s say Tom is a manufacturer of green office products looking to expand his business and distribute more product. One possible way to establish business contacts–if he doesn’t already have them–is to place advertisements looking for distributors in newspapers in each location he plans to visit. He could then interview those who respond when he gets to the business destination. For example, Tom wants to vacation in Hawaii. If he places several advertisements for distributors or contacts some of his downline distributors to perform a presentation, then the IRS would accept his trip for business. TIP: It would be vital for Tom to document this business purpose by keeping a copy of the advertisement and all correspondence along with noting what appointments he will have in his diary. In order to deduct all of your on-the-road business expenses, you must be traveling on business. The IRS states that travel expenses are 100 percent deductible as long as your trip is business related and you are traveling away from your regular place of business longer than an ordinary day’s work and you need to sleep or rest to meet the demands of your work while away from home. For example, Tom wanted to go to a regional meeting in Boston, which is only a one-hour drive from his home. If he were to sleep in the hotel where the meeting will be held (in order to avoid possible automobile and traffic problems), his overnight stay qualifies as business travel in the eyes of the IRS. TIP:Remember: You don’t need to live far away to be on business travel. If you have a good reason for sleeping at your destination, you could live a couple of miles away and still be on travel status. Make sure that you deduct all of your on-the-road -expenses for each day you’re away. For every day you are on business travel, you can deduct 100 percent of lodging, tips, car rentals, and 50 percent of your food. Tom spends three days meeting with potential distributors. If he spends $50 a day for food, he can deduct 50 percent of this amount, or $25. The IRS doesn’t require receipts for travel expense under $75 per expense–except for lodging. Make the majority of your trip days business days. The IRS says that you can deduct transportation expenses if business is the primary purpose of the trip. A majority of days in the trip must be for business activities, otherwise, you cannot make any transportation deductions. For example, Tom spends six days in San Diego. He leaves early on Thursday morning. He had a seminar on Friday and meets with distributors on Monday and flies home on Tuesday, taking the last flight of the day home after playing a complete round of golf. How many days are considered business days? All of them. Thursday is a business day since it includes traveling – even if the rest of the day is spent at the beach. Friday is a business day because he had a seminar. Monday is a business day because he met with prospects and distributors in pre-arranged appointments. Saturday and Sunday are sandwiched between business days, so they count, and Tuesday is a travel day. Since Tom accrued six business days, he could spend another five days having fun and still deduct all his transportation to San Diego. The reason is that the majority of the days were business days (six out of eleven). However, he can only deduct six days worth of lodging, dry cleaning, shoe shines, and tips. The important point is that Tim would be spending money on lodging, airfare, and food, but now most of his expenses will become deductible. With proper planning, you can deduct most of your vacations if you combine them with business. Bon Voyage!